Lean Tip #1938 – Set Your Schedule For The Next Day The Night Before You Leave The Office. Prioritize which tasks need to be completed. Even if you are interrupted by unexpected assignments or emergencies, you'll know exactly what needs to be done when you return to your desk. Not only will a schedule help keep you organized and focused, you'll get the satisfaction of crossing items off your "to do" list once you complete them. 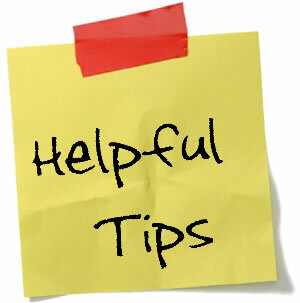 Lean Tip #1939 – Keep Your Workspace Clean And Clear Of Clutter. As the old saying goes, "A cluttered desk is a symptom of a cluttered mind." The time you spend looking for misplaced papers each day is extra time you could be using to complete your work. 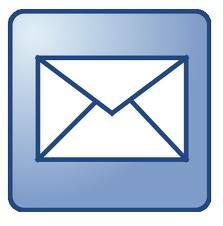 Likewise, there are apps to assist you in categorizing and electronically organizing your email inbox. Imagine the time you could save by no longer searching for hard-to-find emails! During your discussion, go over any processes and procedures necessary to get a procedural task done right the next time. If the failure was more complex, say a sales meeting didn’t go well, try role-playing to help your employee find their footing. Perfectionists take heed! Things don’t always have to be exactly, 100 percent perfect. Some people learn by experience and no amount of coaching or manual reading will change that, so be open to letting experiential learners make minor mistakes. Of course, this advice does not apply when health and safety are at risk, for instance in a hospital setting. No one thinks it’s okay for a nurse to make a minor mistake in giving out medicine. However, in an office setting, it is unlikely that someone will die if an email doesn’t get sent out by the end of the day. By giving employees room to fail in minor ways you convey that you trust them to get the job done right – eventually. Just don’t let this laissez faire attitude go too far or you will convey that you don’t care about quality. Lean Tip #1943 - Listen and Empower. Lean Tip #1944 - Ask Good Questions. Lean Tip #1945 - Commit to Continuous Learning. Show that you are interested in their success (why wouldn’t you be?). Ask questions about where they see their career going, or how they see their role evolving in the company. Even if they don’t have a plan laid out yet, these questions will make them think about their career and what they want to accomplish within the organization. Show your employees that you don’t just want them to do better so you look better, but that you’re actively interested in their career, accomplishments and professional success.